The top 50 DGI stocks page has been updated. As per this week we automatically check 49 blogs that are publishing their portfolio-holdings. The number of holdings is 11727 and comprises of 500 stocks. The plan for the future is to expand the coverage to all blogs that share their holdings. The top 50 DGI stocks page has been updated. As per this week we automatically check 56 blogs that are publishing their portfolio-holdings. The number of holdings is 1682 and comprises of 582 stocks. The plan for the future is to expand the coverage to all blogs that share their holdings. I have added a page with a collection of links to usefull lists of Dividend Growth Stocks. 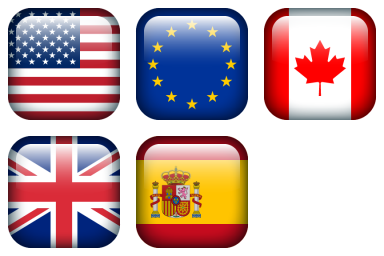 Included are lists of dividend growth stocks from the US, the UK, Canadan, Eurozone and Spain. These lists are actively maintained. Kudoos to the authors. The top 50 DGI stocks page has been updated. As per this week we automatically check 70 blogs that are publishing their portfolio-holdings. The number of holdings is 1323 . The plan for the future is to expand the coverage to all blogs that share their holdings.